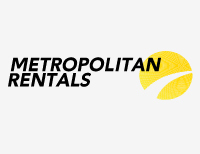 Rent a car with Metropolitan Rentals Ltd, we've been providing quality rental cars, trucks, minibuses, utes, vans & 4x4's since 1948. Our range of small, medium & large cars, vans & 4WD's are perfect for holidays, business as a wedding car rental & more! Our range of trucks caters to everything from moving house to roadwork's & heavy haulage. We have furniture trucks, curtainsiders, flatdecks, tippers & hiabs up to 20 tonnes. Quality rental vehicles at a good price - All of our vehicles have regular maintenance & service checks. Our friendly & helpful staff can give you quick & efficient car hire service so you won't have to spend all day looking for the right vehicle for the job or holiday you have planned. Visit our site or call now to learn more. Since 1948, we have been providing a reliable and customer-friendly rental service throughout Auckland. We offer a diverse range of well maintained, quality vehicles suited to the specific requirements of all our customers.